You can dispose of a wide range of household and garden recycling at Bucks County Council's household recycling centres (often called the tip or dump). Bucks County Council operate all of the household recycling centres in Buckinghamshire. There are three sites in Aylesbury Vale district. Aston Clinton, College Road North exit, off the A41 Aston Clinton bypass. 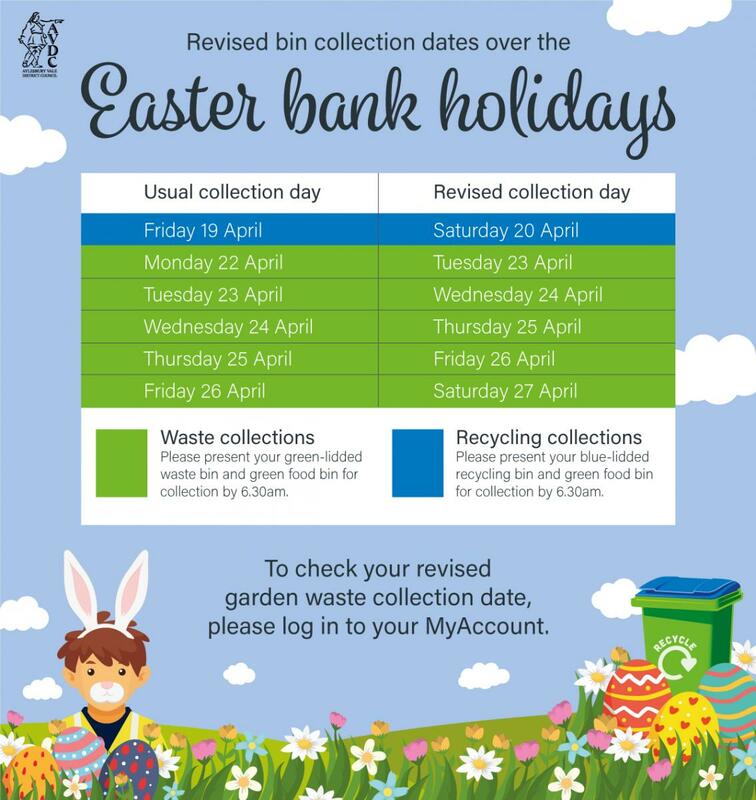 Please see the Bucks County Council household recycling centres page for opening times and more information.